Man I love your Red series! I love all in this image: light, shadows, highlighted pattern of lamp, reflection and white fragments. All this creates a wonderful composition. It´s a wonderful composition and a good light! I really like the red series too. They all have this deep rich red without being to overpowering, and work well on the home page after the white snow shots. Wonderful composition,good light ,excellent shot! Gorgeous composition, light, and color! It’s nice how you make an ordinary lamp beautiful. I like the reflection in the window and the warm tones. Feels like coming home. 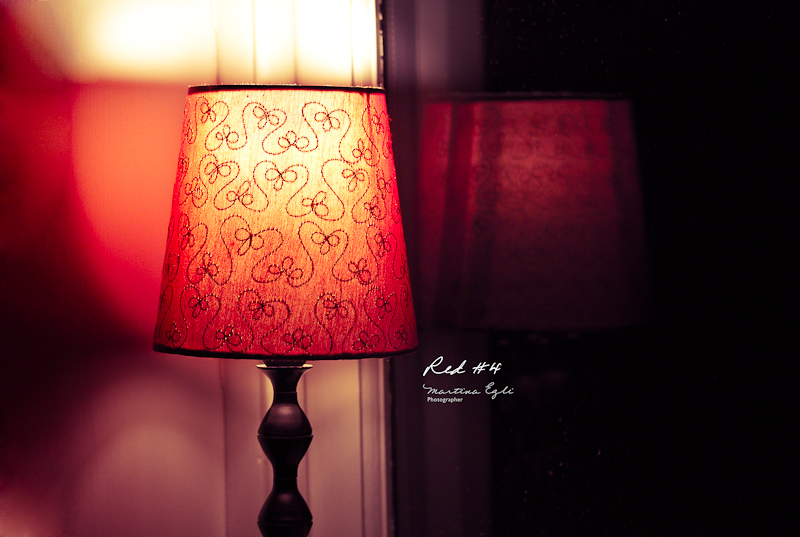 A perfect composition and the red light makes a fantastic mood – I love it. Nice one! Love the reflection in the window!